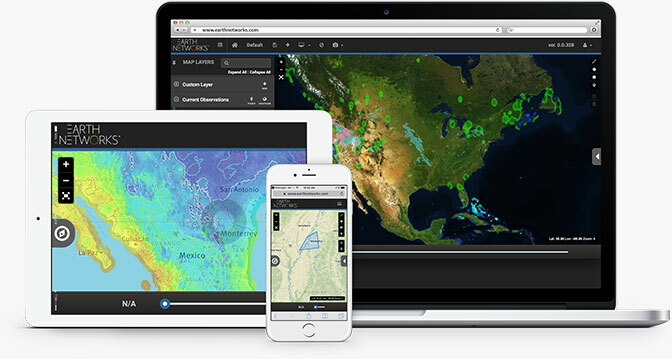 Improve weather-related decision-making for your organization with the Sferic Maps software. Get started with Sferic Maps. Request your 30-day FREE trial. Sferic Maps combines the best of Earth Networks patented weather and lightning observation metrics with powerful data representation, visualization and alerting capabilities. Define key locations to monitor, import your own weather data as new layers, or use our preset layers of hyperlocal weather observations including Earth Networks Total Lightning, Dangerous Thunderstorm Alerts, NWS alerts, temperature, radar, and more.